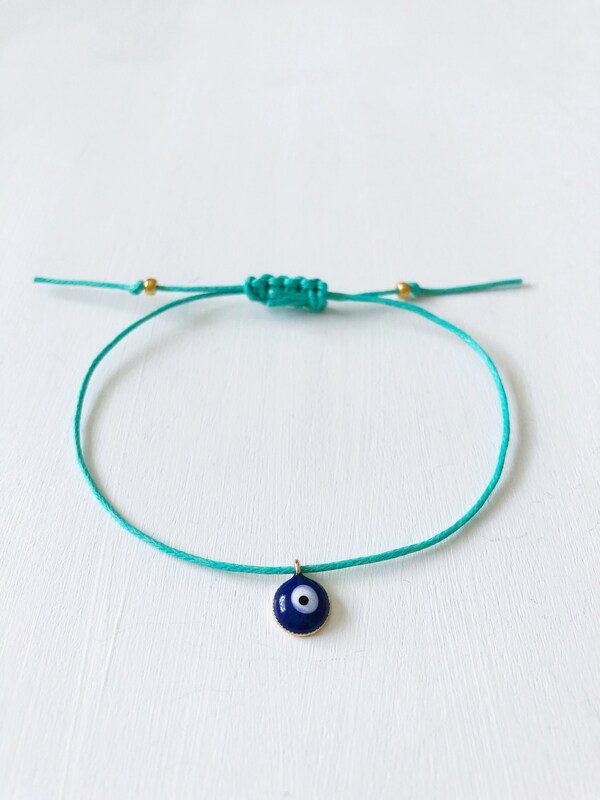 The evil eye is thought of as a protection talisman and it is believed that wearing the evil eye charm protects the wearer and brings them good energy. 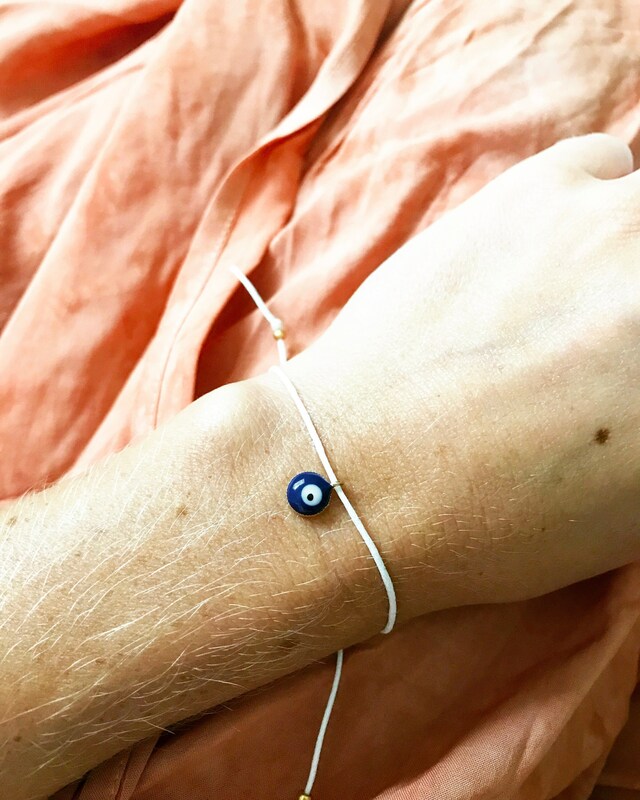 Wear this beautiful bracelet as a reminder to ward off any negative thoughts and replace them with positive and uplifting ones! 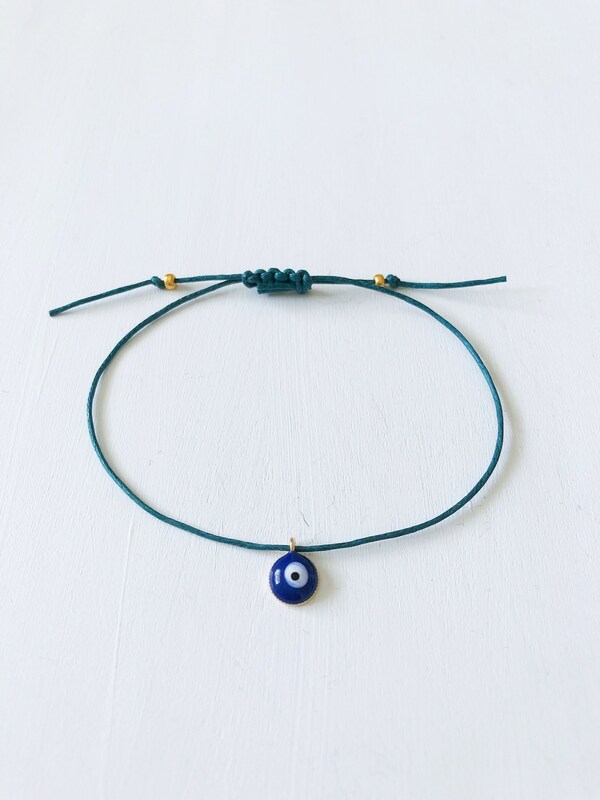 This bracelet is made with lightly waxed cotton cord and a 9mm x 7mm antique gold tone and enamel evil eye charm. 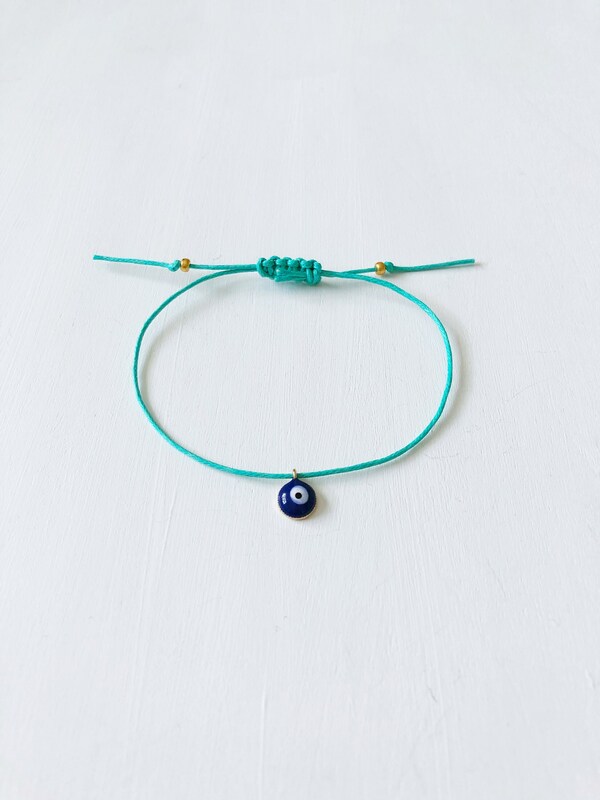 The bracelet is made adjustable with a sliding knot closure and the ends are finished off with Miyuki gold seed beads. 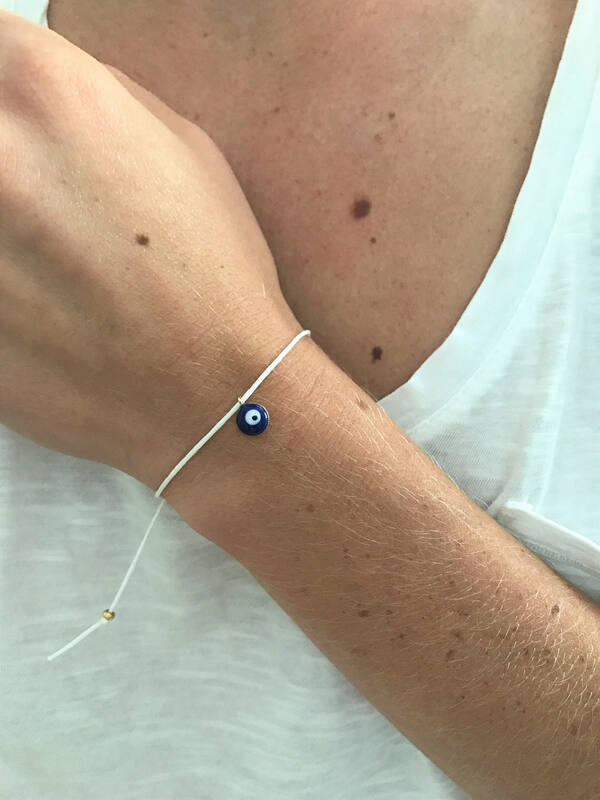 9mm x 7mm Antique Gold Tone and Enamel evil eye charm. 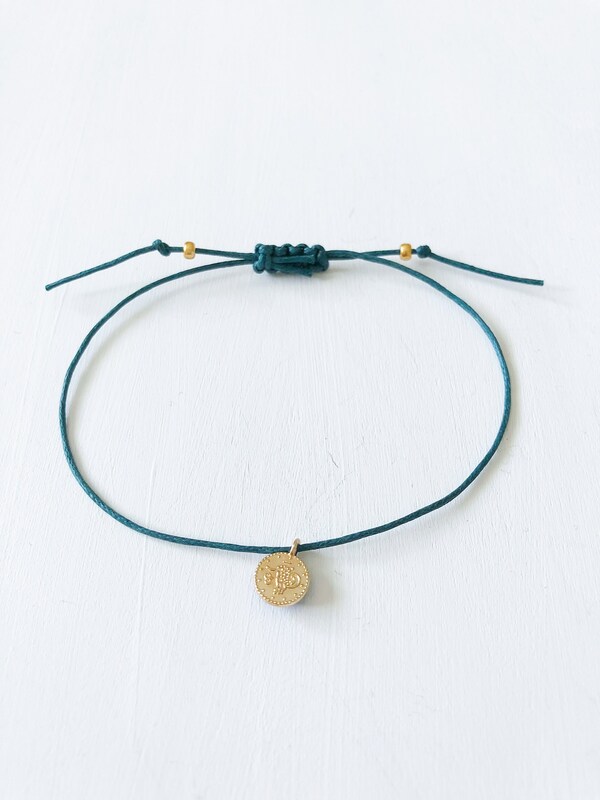 The charms are made from a zinc alloy metal which is lead and nickel free. 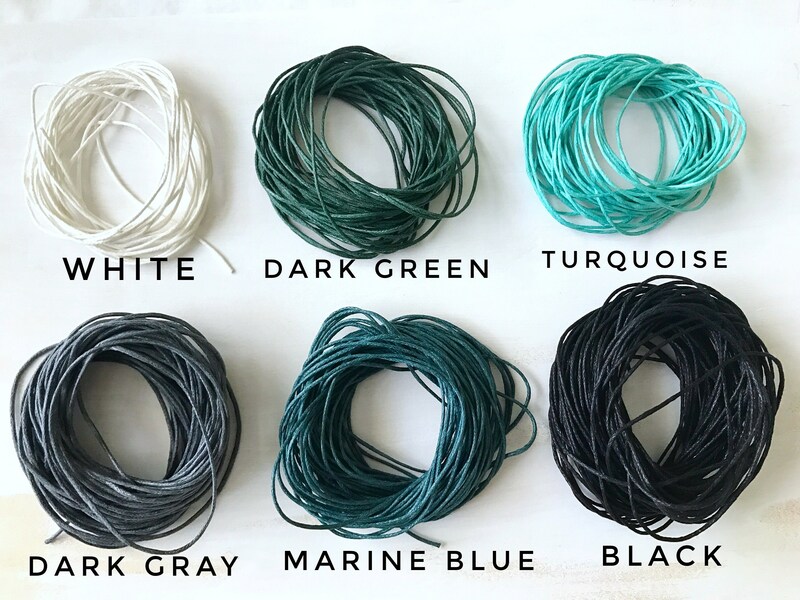 I've ordered several of these in different styles. 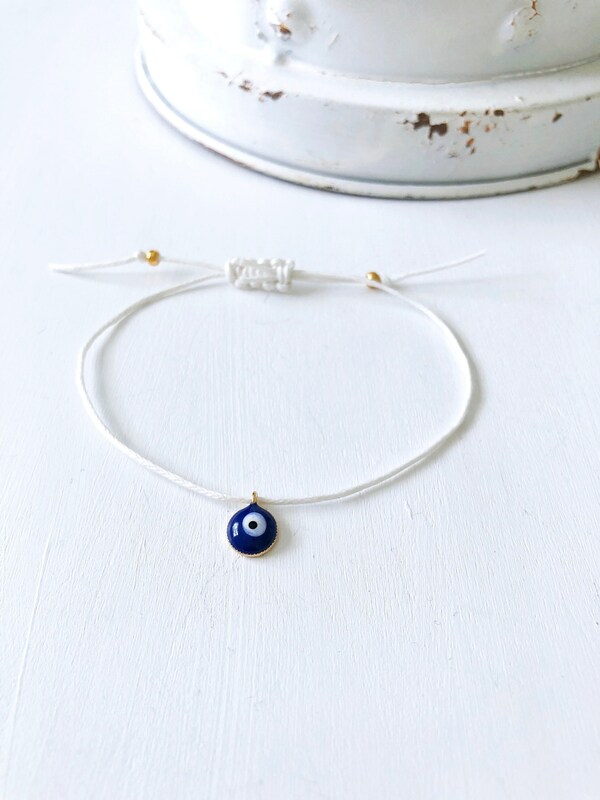 Each and every one is unique and beautifully made.